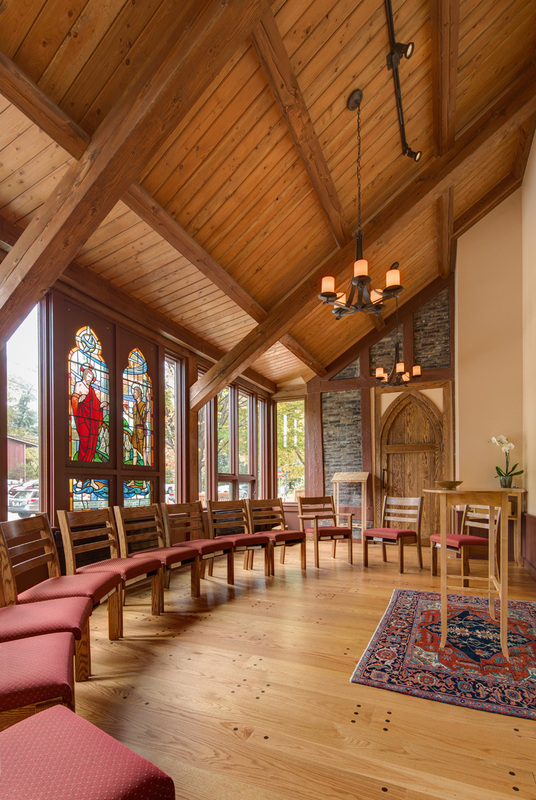 Interventions weave throughout the fabric of this half-timbered church, first constructed in 1858. 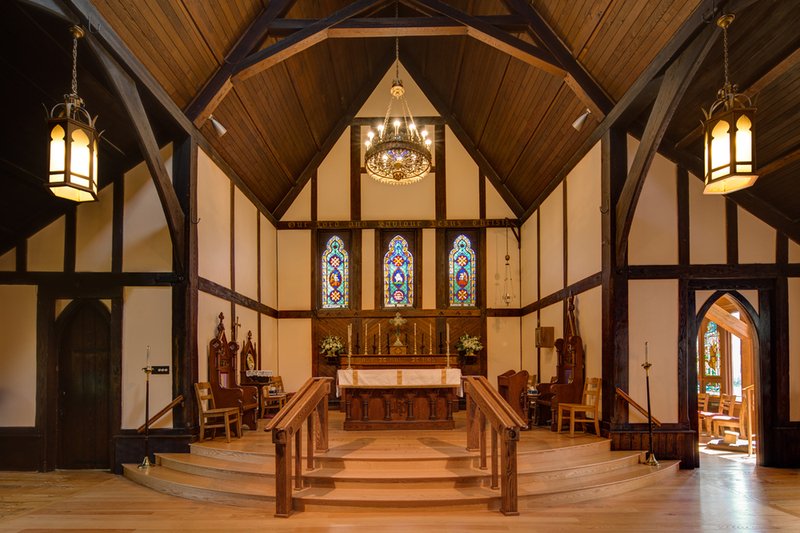 A fine example of Vermont Tudor “country gothic” with hand-hewn chestnut beams, St. Michael’s was relocated to its current site and enlarged with unsympathetic additions in 1953. This project revises the church again for accessibility, and flexible worship, correcting mistakes from 1953. 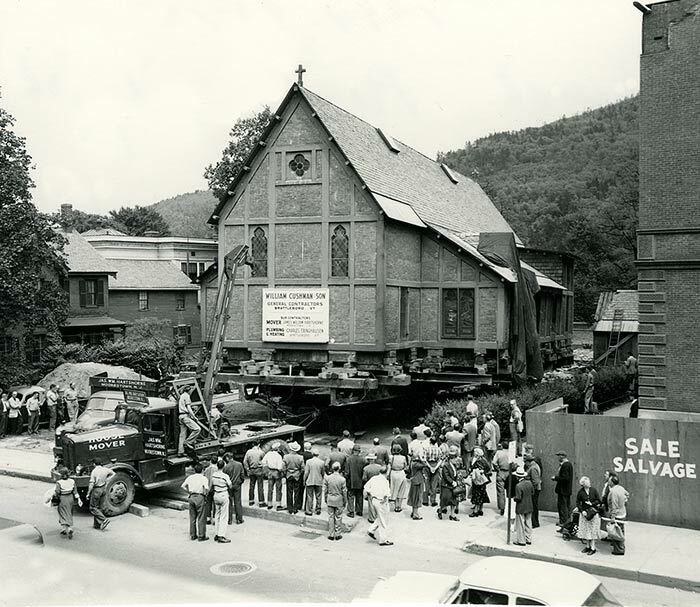 Additions include a new entry porch, elevator, and The Chapel of Mary Magdalene First Apostle, extending the street elevation and reworking the architectural language. The new coppertop elevator addition punctuates the long main elevation. 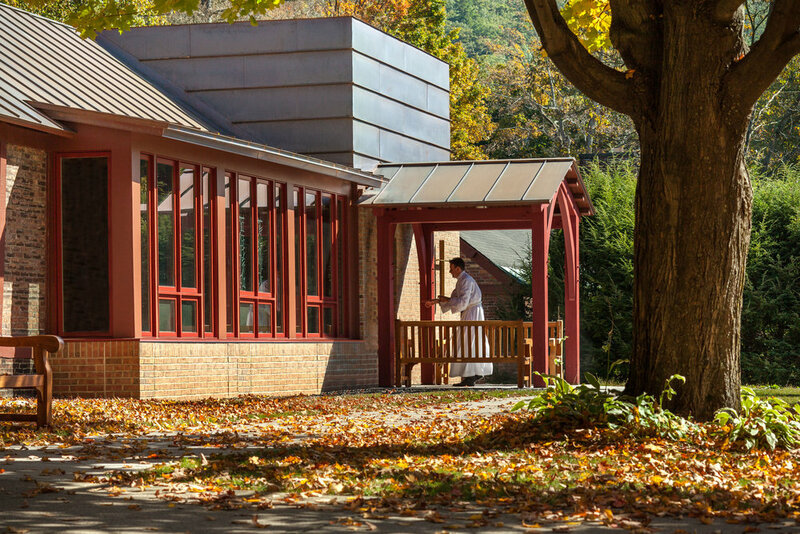 The chapel reinterprets the country gothic components, layering copper roof over timber frame over masonry base. 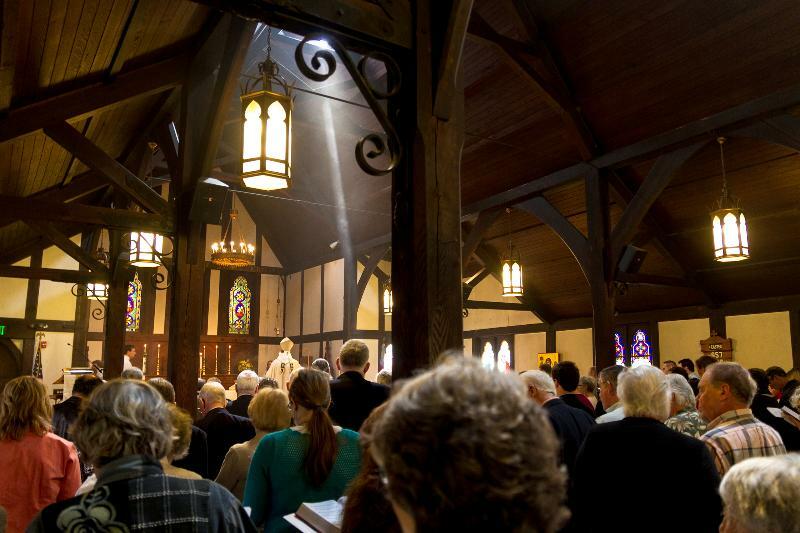 An intimate contemporary worship space lined with wood, the new chapel sponsors weekday services so the church can run at reduced temperatures most of the week for greater sustainability, or Yankee thrift.